Macedonia found on the Colosseum in Rome! 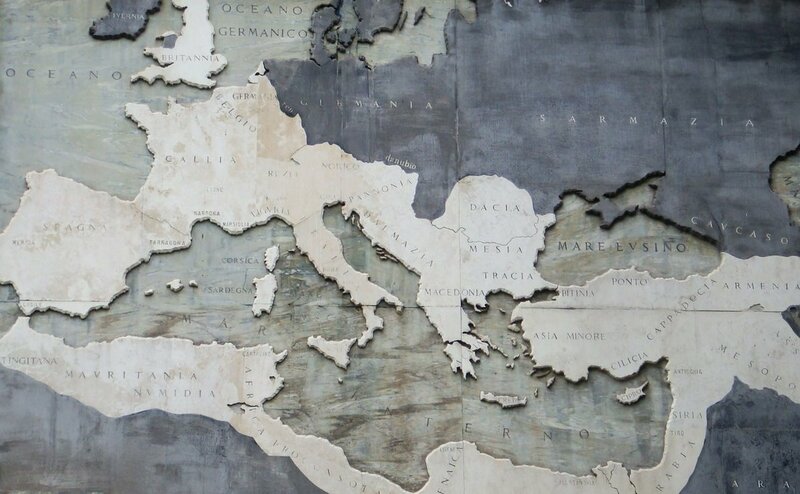 These two great maps have I found on the Colosseum in Rome, they are depicting the Roman Empire during its different phases. 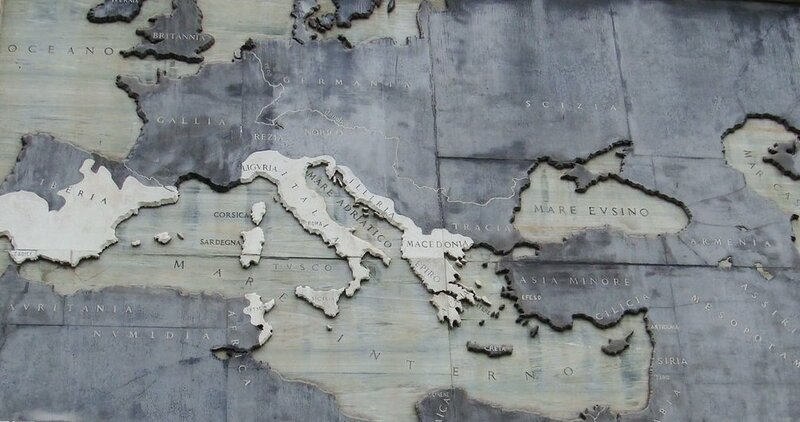 One thing is certain, there was a Macedonia but never a Greece. See for yourselves. Please click on the pictures to view them in their original size.